Home › All products › All Products › Tahiti drop pendants to wear on "Drop hoops"
These pendants are made with baroque Tahiti pearls. Every pearl are unique in shape. The pendants are exchangable and made to wear on Drop Hoops. 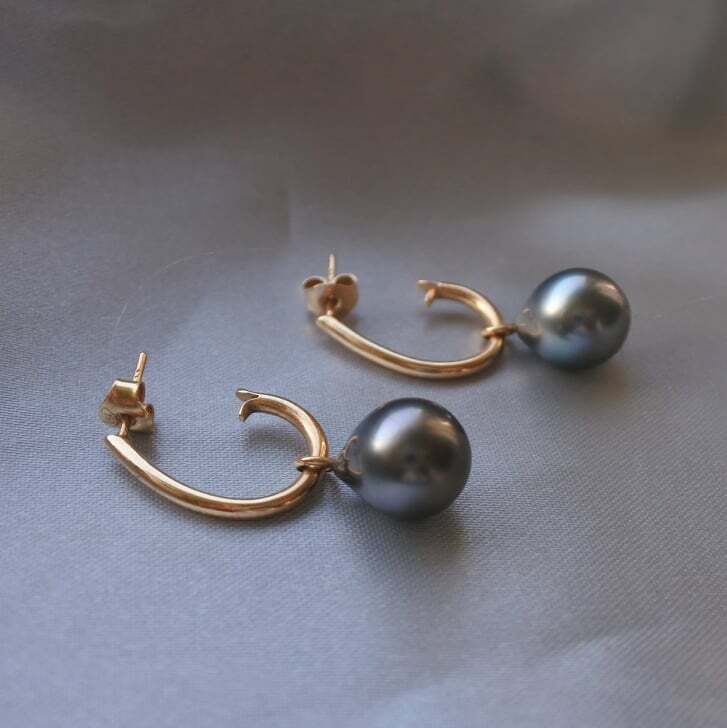 The earrings "Drop Hoops" are made in 18K red gold. The hoops are 1.8mm thick & ca 20mm long. Sold in pairs. These pair of earrings are made to order.